It’s a sales pitch, pure and simple. Its sole purpose is to intrigue a publishing industry professional enough to want to read your book. 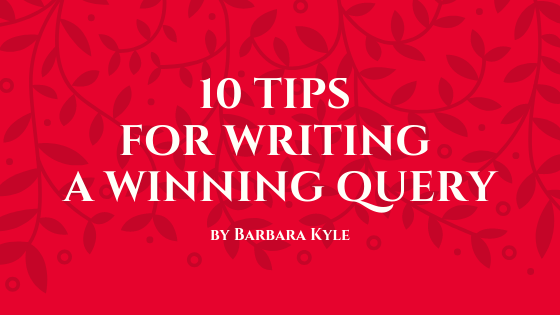 A successful query is one that gets them to ask you to send your manuscript. Like I said, simple. Limit your query to one page. Even if it’s an email, stick to the one-page rule. It’s what publishing professionals expect. Structure your query in five brief sections: introduction, basics, hook, mini-synopsis, bio. This is your chance to connect with the agent or editor on a human level. If you enjoyed a talk she gave at a conference, say so. If you love his blog, tell him that. If you’re a fan of an author she represents or publishes, gush a little (but just a little). Be real. Build rapport. State your book’s title (in caps), its genre (e.g. mystery, romance, thriller, YA fantasy), and the word count rounded off to the nearest hundred. Give one concise and intriguing sentence about the story. For example: “THE KITE RUNNER is a tale of fathers and sons, of friendship and betrayal, that sweeps from Afghanistan in the final days of the monarchy to the atrocities of the present. Mini-synopsis. Describe your story in two or three short paragraphs. This is hellishly hard, like trying to enclose an ocean inside a bottle. My advice is don’t try to cram in the entire plot; it will make you crazy. Stick to the central character and the story’s central conflict. Don’t get sidetracked into subplots or theme. Read the back covers of books in your genre and note how the publisher has described the story’s protagonist and conflict is in a single, engaging paragraph. That’s the effect to aim for. Include in #6 one or two comparables. A comparable is a successful book you mention to explain your book’s target audience. Agents and editors need to know where your book fits into the market. A good way to say this is that it “would appeal to fans of (author)” or “is in the vein of (book).” Keep it recent; publishers aren’t interested in what sold forty years ago. And keep it rational; no boasts about how your book will be a bestseller. Tell something about yourself, preferably related to writing. For example, mention anything you’ve had published, such as a short story, or any writing contest you’ve won. If you’ve had nothing published, stick to info about yourself that you feel might be of interest. Finally, close your query with two crucial points: tell them the full manuscript is available, and ask if you may send it to them. Send as many queries as you like. The rule about not sending multiple submissions applies to manuscripts (once they’ve been requested), not to queries. You can broadcast queries. P.S. You’ll find lots more information and tips about getting published – including truths about the publishing industry – in my book Page-Turner: Your Path to Writing a Novel that Publishers Want and Readers Buy. It’s available from Amazon.